Whilst there are obvious comparisons with films such as the alien-invading Independence Day, monster-clashing Godzilla and robot-fighting Transformers, Guillermo del Toro’s original Pacific Rim gained muted acclaim in 2013 as a fantastical, original sci-fi. Hardly the loudest of the lot, but arguably colossal in its own right. Pacific Rim Uprising is the second course nobody ordered, but serves up a formulaic feast of large-scale action sequences perfect for a bigger screen, with the added bonus of a shining New-Hollywood centrepiece: John Boyega. Here’s the lowdown. Ten years earlier, Kaiju (giant monsters) invaded Earth and humans retaliated by building Jaegers (giant robots). At least two pilots “drift” and form a mental link to fight from within their Jaeger. Here’s the sequel: relative peace is interrupted when the Kaiju mysteriously return. 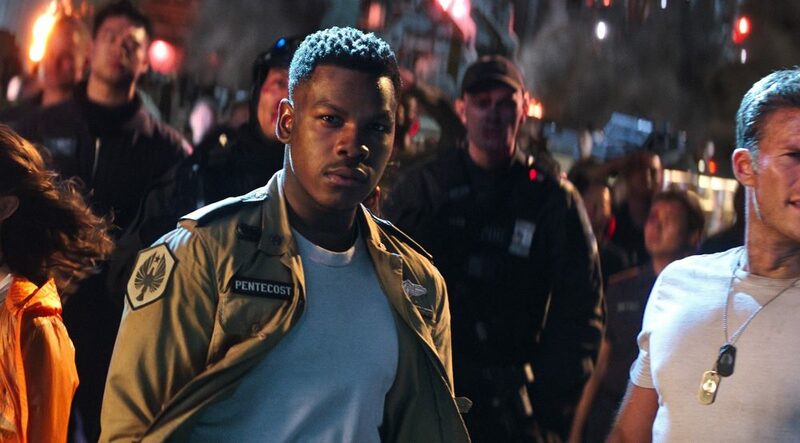 Meanwhile, Jake Pentecost (Boyega), the rogue son of late war hero Stacker Pentecost (Idris Elba), is given the opportunity to return to his roots and follow in the footsteps of his father (and – to quote – “save the world”). Conveniently and amusingly, Boyega’s own roots include 2011’s Attack the Block, in which he also played a leader and alien-defender. He more than steps up to this bigger plate: effortlessly cool, self-assured, and leading action man material from the very first frame. Sadly the same can’t be said for Scott Eastwood as former co-pilot Nate, who Jake reunites with in the Pan Pacific Defense Corps Chinese base. An arch-rival? Military leader? Who knows, and, frankly, we’re not given much reason to care. Even worse is throwaway semi-love interest Jules (Adria Arjona), proof that character-building wasn’t new director Steven S DeKnight’s priority. Returning, Mako Mori, and scientists Newt and Hermann, are important, but the audience may need a memory refresh. There’s also teenage Jaeger-builder/fangirl Amara (promising newcomer Cailee Spaeny) and Liwen Shao, the ruthless mastermind behind drone Jaegers played by Jing Tian (no stranger to monsters from Kong: Skull Island), and who is a welcome face of rare Asian diversity in film. Much like the characters’ characters, much of the plot is fickle – the young cadets programme, black markets, a relevant drones debate… and who even is Jules? Ultimately, everything is simplified with a focus on the action, away from del Toro’s drifting and downright weirdness, which is consequently a loss. If cool robot fights with dizzying angles and one-liners about ice-cream toppings are what viewers are after, however, then this sequel is a total gain. 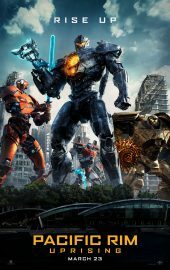 Pacific Rim Uprising is released nationwide on 23rd March 2018.